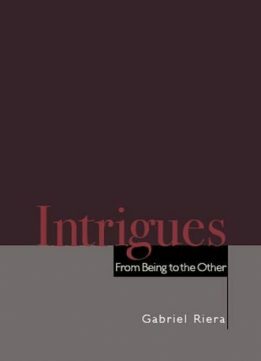 Intrigues: From Being to the Other examines the possibility of writing the other, explores whether an ethical writing that preserves the other as such is possible, and discusses what the implications are for an ethically inflected criticism. 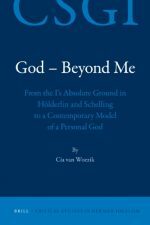 Emmanuel Levinas and Maurice Blanchot, whose works constitute the most thorough contemporary exploration of the question of the other and of its relation to writing, are the main focus of this study. 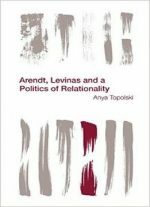 The book's horizon is ethics in the Levinasian sense: the question of the other, which, on the hither side of language understood as a system of signs and of representation, must be welcomed by language and preserved in its alterity. Martin Heidegger is an unavoidable reference, however. 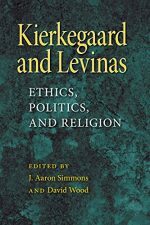 While it is true that for the German philosopher Being is an immanent production, his elucidation of a more essential understanding of Being entails a deconstruction of onto-theology, of the sign and the grammatical and logical determinations of language, all decisive starting points for both Levinas and Blanchot.At stake for both Levinas and Blanchot, then, is how to mark a nondiscursive excess within discourse without erasing or reducing it. 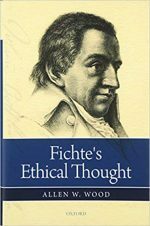 How should one read and write the other in the same without reducing the other to the same?Critics in recent years have discussed an ethical moment or turncharacterized by the other's irruption into the order of discourse. The other becomes a true crossroads of disciplines, since it affects several aspects of discourse: the constitution of the subject, the status of knowledge, the nature of representation, and what that representation represses (gender, power). 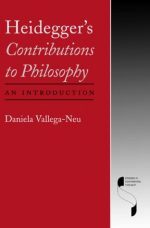 Yet there has been a tendency to graft the other onto paradigms whose main purpose is to reassess questions of identity, fundamentally in terms of representation; the other thus loses some of its most crucial features.Through close readings of texts by Heidegger, Levinas, and Blanchot the book examines how the question of the other engages the very limits of philosophy, rationality, and power.